Washpot Rosemary Topiary. Allow soil to dry slightly between waterings. Best outdoors or on porch/patio..Exposure: Bright, indirect light., Indoor Temp: 40 - 70 degrees F, Weight: 2 lb, Pot Size: 4 inches, Height: 9 inches. Comes in a clay washpot. Live topiary plants are a fantastic way to bring life into a room or to display outdoors, because their shape and appearance is so striking, This rosemary plant thrives best when it is outdoors, but it looks equally good on a windowsill in natural light. Rosemary does not always show its colorful flower, but that does not make it any less beautiful. The long, pointed leaves curve gracefully in an upward arc. Fresh topiary brings nature into a room or adds a conversation piece to a patio. Taking care of live topiary plants is rewarding and relaxing, and the way they enhance the appearance of the area around them is icing on the cake. The rosemary plant stands out among fresh topiary because of the shape of its foliage and its vibrant, rich green color. Of course, you can also use it in cooking, but that probably is not the best use for a topiary plant. Topiary plants make great conversation starters when people come over to visit, especially when the plants have unusual scents or shapes. If you plan to add a few plants to the outdoor area such as a deck or a patio, the rosemary would be ideal. Rosemary does not always show its colorful flower, but that does not make it any less beautiful, as the shape of these plants can often be the main source of ones wonder and aesthetic joy. The long, pointed leaves curve gracefully in an upward arc. Fresh topiary brings nature into a room – their exotic shape adds a sense of calmness and serenity. In addition, if they are placed in an outdoor area, it adds a conversation piece to a patio, as visitors will also notice its graceful shape. Taking care of live topiary plants is rewarding and relaxing, and the way they enhance the appearance of the area around them is icing on the cake. The rosemary plant stands out among fresh topiary because of the shape of its foliage and its vibrant, rich green color. Of course, you can also use it in cooking, but that probably is not the best use for a topiary plant. Topiary plants make great conversation starters when people come over to visit, especially when the plants have unusual scents or shapes. In terms of caring for the rosemary, you will want to water the plant when the soil dries a bit between each watering. Rosemary plants also thrive best when they are under indirect sunlight as opposed to having them sit exactly where the sun is. 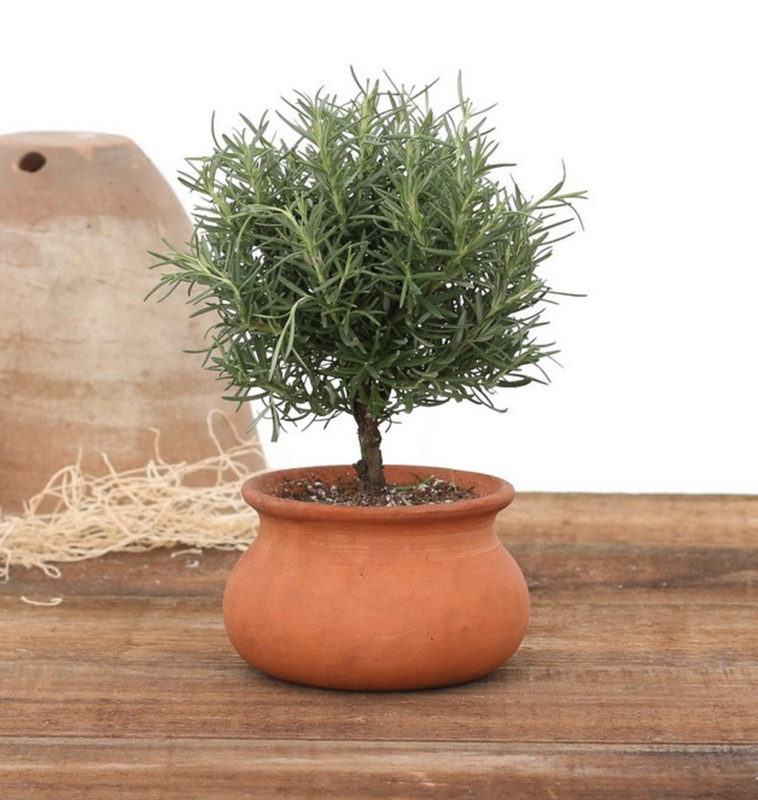 If the rosemary plant is to grow Indoors, the temperature should be around 40 to 70 degrees Fahrenheit. I got 8 of these plants for my daughters wedding and they arrived as shown on the website. I recommend this place.